I am writing my first thesis for a communications and writing class at Grand Canyon University. The topic I selected was how does technology effect interpersonal relationships. After doing weeks of research I found that around the world, too much of a fun way to reconnect with old friends and possibly new ones can also cause you to disconnect with your partner. Many people become so lost in the time spent on the Internet, that they begin to ignore their spouse and family. I read journal articles that all came to this same conclusion. While an article from the Middle East focused more on how excessive time spent on the computer impacted the quality of the family relationship, the other articles that were written here in the United States were all in aggreement that relationships have suffered greatly since Facebook launched in 2004. One of the most amazing things that I learned was that 81% of divorce attorneys cite Facebook as one of the causes of divorce. Additionally, back in 2009 a woman received permission to serve her divorce petition to her husband through Facebook online. How convenient! First Facebook helps cause the relationship problem with one partner, and then helps the other spouse serve the divorce papers to that offending party. As they always say, too much of a good thing is not ever good. Use your energy and creativity to spend quality time with your spouse and family today instead of spending too much time away from them online. Put down your computer or device and walk away slowly…… Away from that obsessive behavior of reaching out to the vast unknown rather than embracing your own family and showing them how interested you are in them. You might just save yourself from being served through Facebook! Do you know anyone that is having this problem with their spouse or partner? 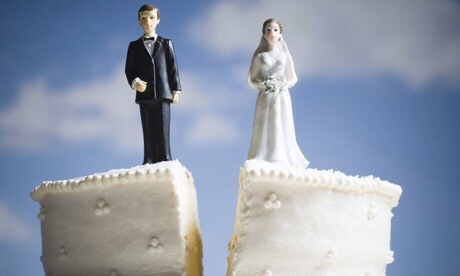 Did you know that Facebook has been blamed in so many divorces? Please share your thoughts so I can use it in my thesis. I would love to read about real-life stories in addition to my research.